GaGa Ball is taking America by storm! It is an action-packed ball game that can be played by children of any age. The rules are simple and it is easy to organize a game. The best part of playing GaGa Ball is that it doesn’t require kids to have a strong throwing arm or excellent hand-eye coordination. That means children of any skill level can get into it! 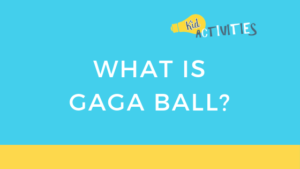 This guide will give you everything you need to know about GaGa Ball. What do you need to play GaGa Ball? How big is the GaGa ball pit? 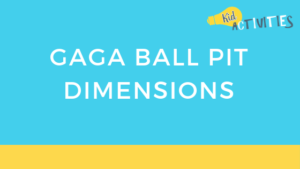 The best way to describe GaGa Ball is as a “safer and more exciting version of dodgeball.” The entire game is played inside of a GaGa ball pit, which is an octagon-shaped or hexagonal-shaped area surrounded by a 3-foot fence. The surface of the ball pit can be any hard surface, including cement, grass, dirt, bitumen, and compacted sand. A referee — usually a councillor, supervisor, teacher, or parent. What are the rules of GaGa ball? The rules are simple! However, before you start the game, you will have to choose a referee. It’s usually best to choose a teacher, councillor or supervisor of some kind. They are responsible for ensuring fair play and declaring players “out”. Between 6 to 12 players enter the GaGa pit. The referee waits till everyone is ready to commence play. The referee or a player then throws the GaGa ball onto the ground in the centre of the pit so it bounces. On the first two bounces, the participants will yell “GA!” then they will yell “GO” on the third bounce. Players will then attempt to hit the ball at the legs of their opponents with an open or close hand. Each player can only hit the ball once. If the ball hits a player below the knee, that player is out and must leave the GaGa pit. If the player is hit above the knee they can remain in the pit. If a ball is hit out of the GaGa pit on the full, the last player to touch the ball is out. When there are only two players remaining, the ball can be hit up to 3 times in a row. The ball can be “rejuvenated” by contact with the wall, which resets the hit counter. The last player left in the pit is the winner and everyone jumps back into the pit for another round. There are many variations of these rules and you can tweak the rules to suit the age of the group that is playing. GaGa ball is even more fun when you play music while everyone plays. Most gaga ball rounds take between 3 to 5 minutes, depending on the number of players and their skill level. It is a very fun, action-packed, and addictive game. It’s also a great way for kids to burn off some energy. The GaGa ball pit is a hexagonal or octagonal boundary wall that surrounds the players. The walls that form the pit can be made from any sturdy material, including timber, polyethylene coated timber, steel, plastic, or aluminum. Blow up plastic GaGa pits are also available. They are a great choice if you want to play GaGa at a friend’s house or while on holiday. The size of a GaGa ball pit can vary. 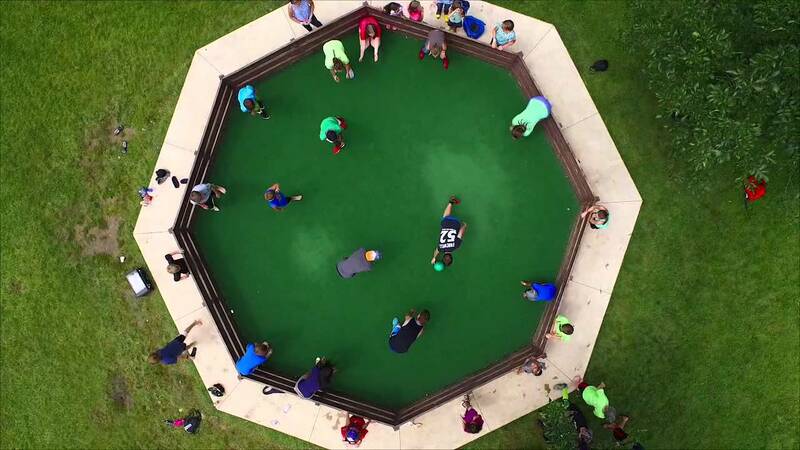 Most GaGa ball pits designed for 6 to 8 players have a 15’ wall-to-wall diameter. Pits for 8-12 players will have a 20’ diameter and pits for 12+ players use a 25’ or larger diameter. The height of the GaGa ball pit wall is also a factor, because it determines which shots will stay in play. Most GaGa ball pits have a height of between 24 to 30 inches. Some pits have a section of wall which is lowered or a doorway so younger children can get into the pit easily. Ideally, the surface of the GaGa ball pit should be hard and smooth. Concert or asphalt works best, but the game can also be played on grass, dirt, stone dust, or compacted sand. It’s often a good idea to have timber chips or sand surrounding the pit in case anyone falls over the wall. Many people have begun installing GaGa ball pits in their back yards for the children. You can either make a pit yourself if you are handy with tools or purchase a pre-made one. Most commercial GaGa ball pits use timber that bolts onto steel brackets. They can be set up fairly easily and are a great addition to your home. Another great option is to use an inflatable GaGa ball pit. This allows you to quickly set up the pit and take it down when the fun is finished. You can also take the pit with you when you go on holidays or visit a family friend. SCS Direct sell an excellent inflatable GaGa ball pit that is designed for between 6 to 8 children. It has a 15 foot diameter with soft and bouncy walls that protect any young children that are playing. It inflates in less than three minutes and is light enough to be carried around the yard. The wall of this inflatable GaGa ball pit is 28 inches high, which is high enough to keep young children from falling out and to keep the ball in-bounds. It is a fantastic option for community centers, school camps, summer camps, or your own home. What kind of balls are used for GaGa Ball? 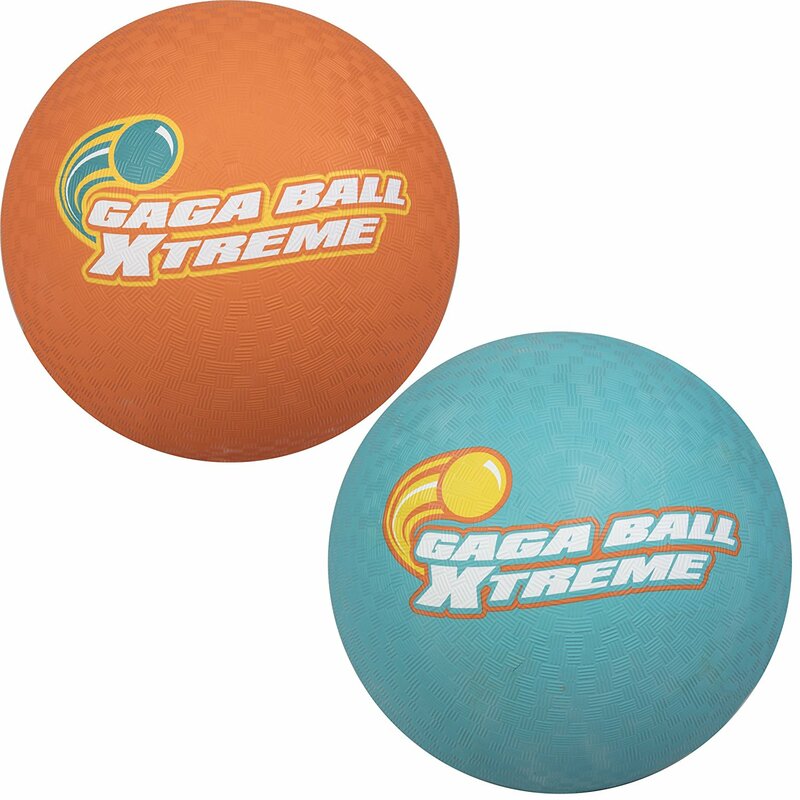 GaGa ball can be played with any kind of bouncy ball, including soccer balls, basketballs and volleyballs. However, to have the most fun in a GaGa ball pit, it helps to have a ball that is very lightweight. This allows the players to obtain more velocity when they hit the ball with their hand. Having a ball that bounces well is also a great idea because it makes the game more unpredictable and exciting. The size of a GaGa ball can be anywhere between 8 to 10 inches in diameter. It just needs to be big enough for the kids to accurately hit and small enough so they can jump over it. 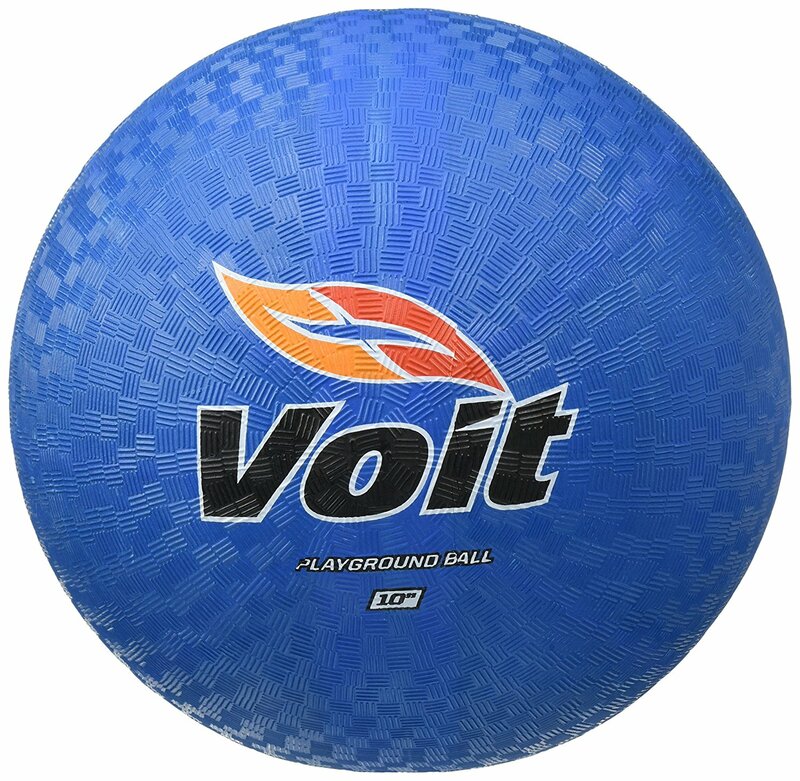 Playground balls like the School Smart Playground Ball, Champion Sports Playground Ball, and Voit Playground Ball can work really well. They are tough rubber balls that are textured — making it easier for the kids to hit or catch them. They are also available in many different colors, which is useful if you are organizing other types of playground activities. You can also buy official GaGa balls from SCS direct. They are super lightweight balls made from durable rubber. 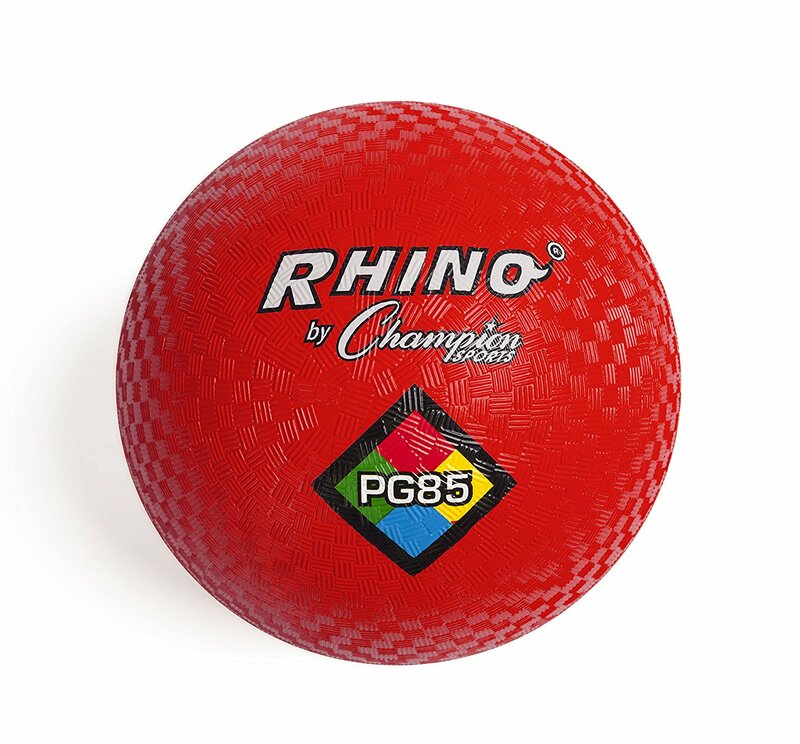 At 8.5 inches in diameter, they are the perfect size for young children playing GaGa ball for the first time. They also featured a textured exterior and are super bouncy. 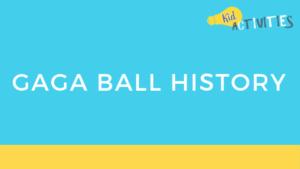 Although GaGa ball is a relatively new game for kids in the United States, it has been around for many years in other countries. “GaGa” means “Touch Touch” in Hebrew and children have been playing GaGa ball in Israel for many decades — which is why many people believe the game originated in Israel. The game was first played in the United States at Jewish summer camps in the 1970s. In 2010, a man named Cliff Silverman saw his daughter playing GaGa ball and having the time of her life. He decided to design some GaGa ball pits that could be easily installed in schools, parks, and people’s homes. This helped to accelerate the popularity of the game. Here are just a few benefits of getting kids involved in GaGa ball! It is a fast-paced game with rounds that end within a few minutes. This means the kids that get out early will only be sidelined for a short amount of time. This is much more exciting than other sports where getting out involves sitting around for a long time! GaGa ball requires very little equipment so its easy to have a quick game (or ten). 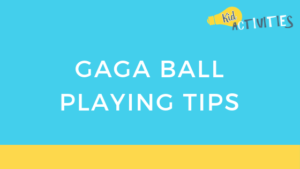 Here are some simple tips to help the kids become great at GaGa ball. 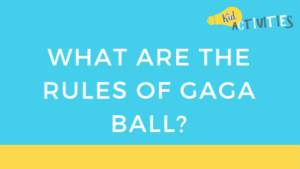 While the rules of GaGa ball are very simple, there are a couple of small tricks to learn. For example, the children should learn that the ball can be hit up to 3 times in a row by hitting it off the wall and resetting the hit count when there are two players remaining. This will help them win a few games. They should also learn that it is ok to use the GaGa ball pit to help them jump higher and that they can catch the ball to get someone out. A child can improve their swatting technique by hitting the ball against a wall repeatedly. This will help them learn how to get the most velocity out of the ball. One of the best ways to get someone out is to pretend that you are going to hit the ball forward, then hitting it sideways. Kids can work on strategies to trick the other players on the direction of their shots. The advantage of playing in a hexagon or octagon is that the walls are at different angles. Children can bounce the ball off a wall to make it shoot off at an unexpected angle and hit someone from behind. Here are a few variations of GaGa ball that are a ton of fun! In a normal game of GaGa ball, players who are out will stand around watching the rest of the game. In redemption GaGa ball, if they catch a ball that has been hit over the fence on the full, they get to come back into the game! This is a great way to keep all players involved. This is an endless game of GaGa ball! When a player gets hit by the ball, they must remember the person who hit them with it. When that person gets hit, then they can return to the game. That means the only way to end the game is for a single person to get almost everyone out. This version of GaGa ball can get pretty intense! This is the same as standard GaGa ball, but with two balls in play. It works well for more advanced players who are good at dodging the ball. Thanks for reading GaGa Ball: The Ultimate Guide on How to Play GaGa Ball. Check out our other fun games. For more sports articles, subscribe to the blog or follow us on social media.